It’s a bit of an understatement to say Shane Crookshanks knows boats. Let’s start with his numbers – because they are truly impressive: in almost 25 years he has commissioned over 700 yachts. And that doesn’t include the powerboats and catamarans. So right now, it’s probably safe to say he’s worked on over 1000 boats … and counting. 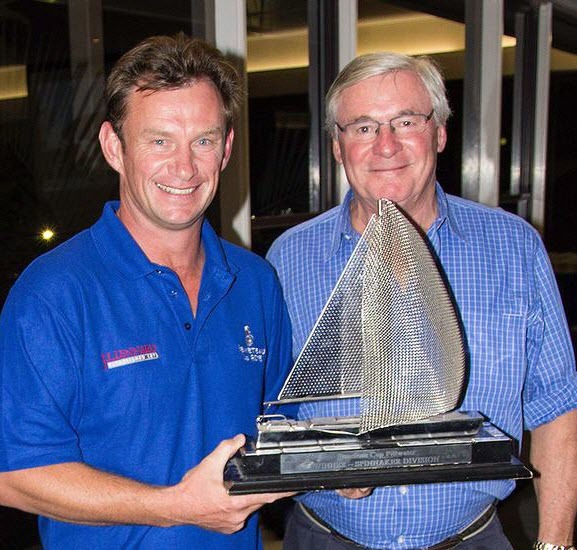 Then there are the hours he’s spent on the water sailing in world class races like the Sydney to Hobart and the FARR 40 circuit. Add it all up, and the sum of so many hours is a depth of knowledge and a breadth of expertise that make him invaluable to the Flagstaff team. 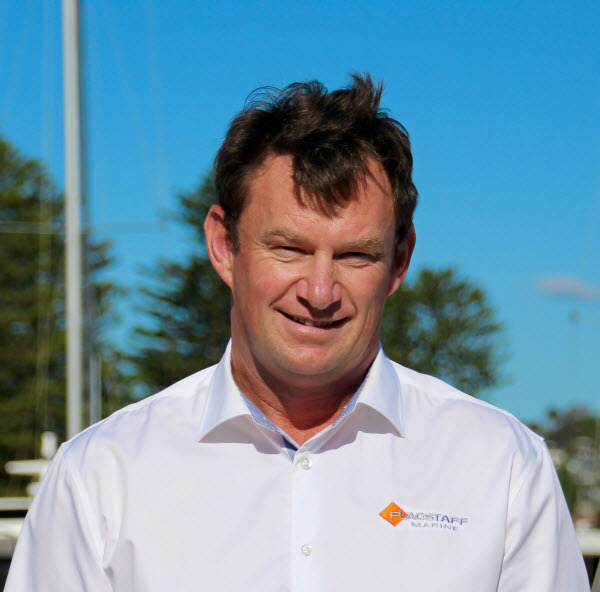 Shane started working on Beneteau boats back in 1995, when he was still at university studying computer science. What was supposed to be a six-month job, helping to start up a new business, became a fulfilling career and the beginning of a new passion – sailing. There’s no such thing as a normal day for Shane – every day is different. 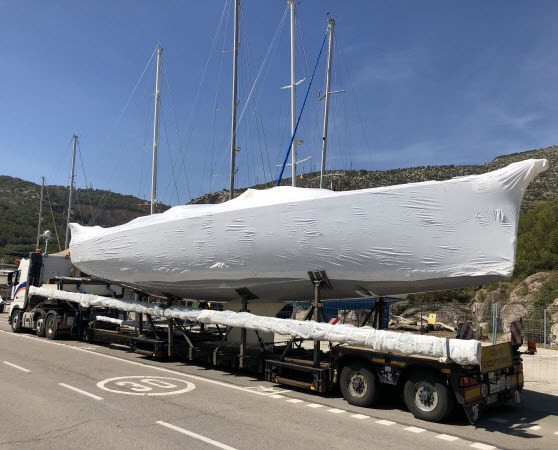 And that’s hardly surprising when you’re busy commissioning around thirty boats a year ranging from luxurious cruisers like the Monte Carlo range through to performance yachts like the Oceanis 41.1P. That might be solving a problem for a client at any one of three Flagstaff offices, managing the expert marine trades involved in commissioning or teaching a new owner how to operate their boat. 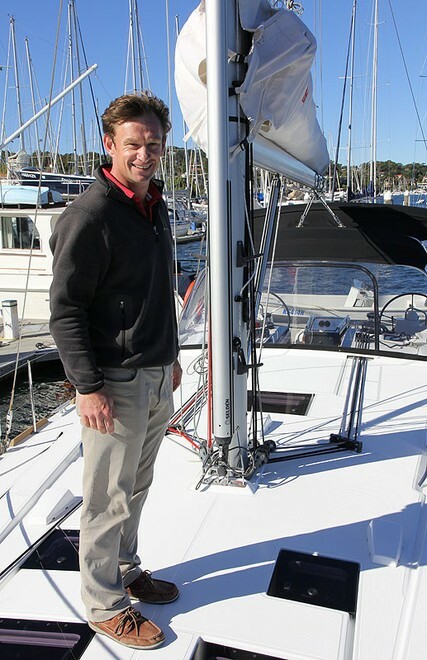 Then of course there’s the excitement of overseeing the delivery of a brand new Beneteau. For Shane that’s a feeling that just that never gets old. Shane’s job title should really include Chief Problem Solver. He’s definitely the guy whose number you want in your phone when there’s a problem on board. And he’s always happy to take a call from an owner. “I operate on the assumption that there is no such thing as a silly question,” says Shane. “Basically, the phone at my house can ring anytime between 6am and 10pm … usually it’s something simple like the coffee machine doesn’t work because the inverter has tripped,” he quips. It’s clear that Shane really gets a kick out of solving complex problems – but more than that – he finds real satisfaction in helping people. This dedication to superb service and the boating community is a shared value for all of the Flagstaff team. 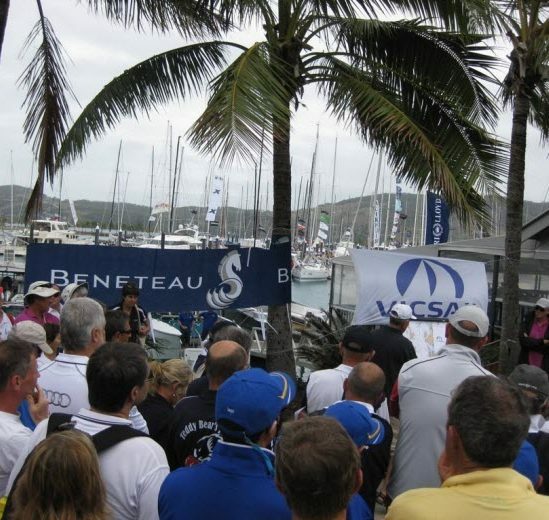 Shane ticked the Sydney to Hobart off the bucket list in 2002, crewing for Peugeot on a Beneteau 47.7. But ocean racing is not his top pick of ways to spend time on the water. “It was an awesome experience to go and do it and then I haven’t wanted to go back and do it since,” he says. “Look it’s nice to do but you working pretty hard out there – you’re doing your three hours on three hours off. Depending on what type of boat you’re on, what type of conditions there are, it can actually be really boring. 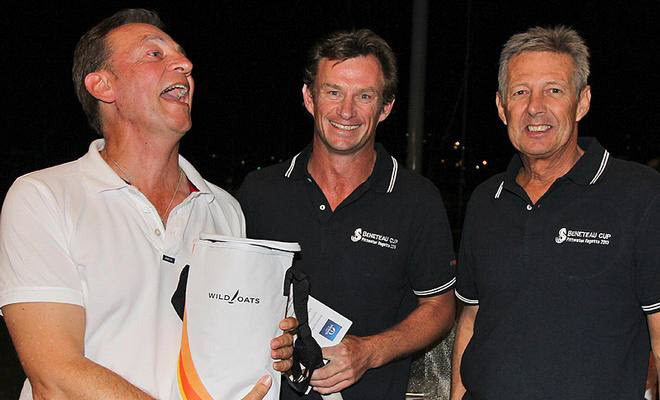 Totally boring!” So if the Sydney to Hobart is dullsville what does get him excited? “I did the FARR 40 circuit for a number of years. It’s like a grand prix of race boats,” he explains. Shane has sailed all over the world but for him nothing beats Australia’s beautiful waterways. “You can’t beat Sydney Harbour, especially at night … and then of course there’s the Whitsundays …” he says as if no further description is necessary. 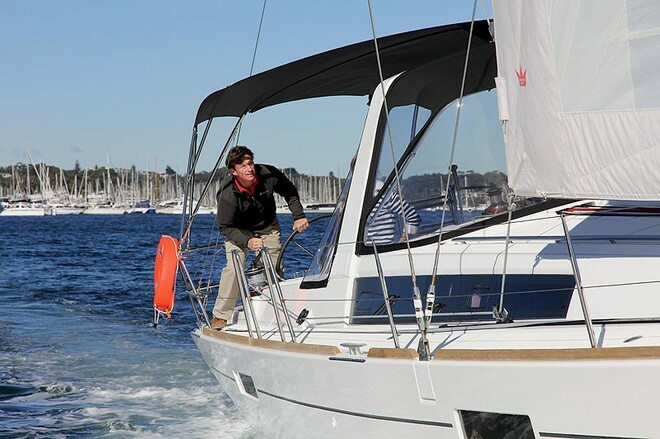 Shane also lists his home, Pittwater Harbour, as one of the best places to sail in the world. 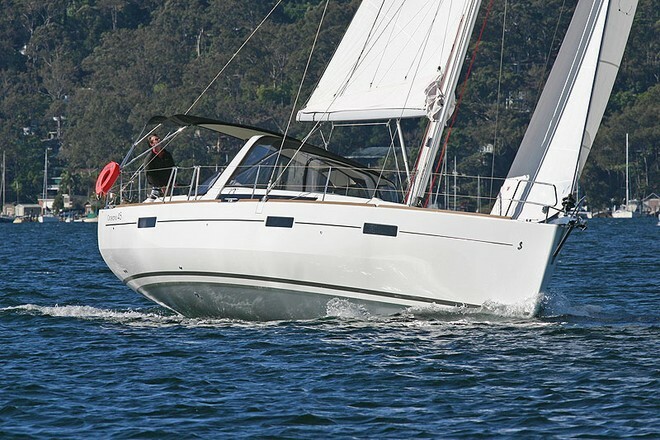 “If you can sail Pittwater you can sail anywhere,” adding that many of the crew from Australia II, the yacht that won the America’s Cup back in 1983, were Pittwater boys. When it comes to racing, these days, he prefers to stay local. “Now I do the occasional Coffs Harbour but my favourite is a Hamilton Island daylight series – daylight hours, no rain – they’re my two rules,” he laughs. So, what’s the strangest thing you’ve had to commission? “There are not many things I haven’t put on a boat!” says Shane with pride. “We’ve done some pretty out-there things, that’s why I say there’s no such thing as a silly question. Now if that doesn’t demonstrate the Flagstaff commitment to superb customer service, we’re not sure what does! Learn more about Flagstaff Marine’s service and maintenance packages here.